The Bonnington Jumeirah Lake Towers Dubai is an impressive 40-storey building located at the heart of the Jumeirah Lake Towers Community, overlooking the Dubai Marina Area, a bustling commercial zone teeming with shops, boutiques, cafes and restaurants. This 5-star luxury property features 208 well-appointed rooms and 272 deluxe serviced hotels, along with an infinity pool, 5 award-winning restaurants and bars, and 6 fully-equipped conference rooms. Guests can admire the city skyline from the Leisure Deck on the 11th floor that comes with an infinity pool, world-class gym, pool side bar and restaurant, Jacuzzi, steam room, sauna and hairdressing salon for ladies. 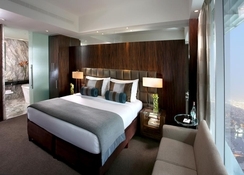 The hotel is in close proximity to some of the most famous landmarks in Dubai. Within a distance of 5-6 km, there are some of the most famous golf courses, which regularly host championship tournaments. If golf courses are not your thing and if shopping is what you crave for, then there is no better place than Dubai. Mall of Emirates is just 7 km away. It is not just a mall, but an entire shopping resort, which is packed with over 460 retail outlets. Over all, this hotel is undoubtedly your best bet when it comes to having a wholesome family experience during the summer holidays. The Bonnington is just a 25-minute drive away from the Dubai International Airport and Dubai’s principal commercial and business areas such as Media and Internet City, Jebel Al Freezone and Dubai Investment Park. Abu Dhabi, the capital of UAE is just 40 minutes away by car. 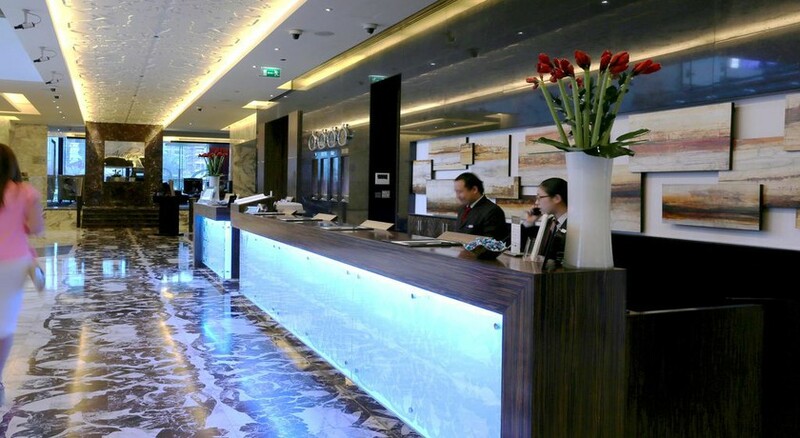 The hotel is also a short walk away from all the major malls, restaurants and boutiques in Dubai. The lush, green Zabeel Park is situated at a distance of 26 km, while Dubai Creekside Park is 29 km away from the hotel. 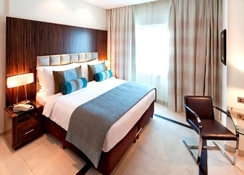 Rooms at The Bonnington Jumeirah Lake Towers Dubai are divided into deluxe and club deluxe categories. 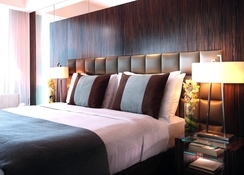 Within the deluxe category, there are superior rooms, deluxe rooms, deluxe suites and deluxe corner rooms. Club deluxe consists of club rooms and suites. Guests can also stay in apartments that offers you a choice of 1 bedroom apartments, 1 bedroom deluxe apartments, 2 bedroom apartments, 2 bedroom deluxe apartments and 3 bedroom apartments. All rooms are luxuriously furnished with marble floors, contemporary furniture, expensive drapes and upholstery. In-room amenities include flat-screen television sets, internet connection, safe, fully stocked minibar and en-suite bathrooms with luxury amenities. 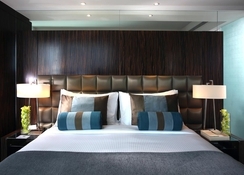 Guests can choose from the varied selection of restaurants and bars available at the Bonnington throughout their stay. Experience the casual yet electric atmosphere of the award-winning McGettigan’s Irish Pub, the sophistication and elegance of the Cavendish restaurant and Cavendish Terrace serving international and Middle Eastern cuisine, or enjoy a beverage at Healey’s Bar and Terrace, a stylish up-market wine bar. The Author’s Lounge is yet another place to have specially brewed tea, coffee and snacks. The 11th-floor Leisure Deck is open on three sides and features an infinity pool, a fully equipped gym, a Jacuzzi, play area for kids, saunas and steam rooms. The Hotel organizes a number of events throughout the year to keep their guests busy and entertained. Further, Dubai has a busy cultural scene with art festivals, theatre festivals, music shows going on. The whole city celebrates Eid in September, when guests can enjoy great discounts in mall. Within the hotel itself, there is much to do. There is an infinity pool in the 11th floor that overlooks the Dubai skyline, while guests can have an amazing work-out in the state-of-the-art gym that is fully equipped with cardio-exercise machines and free weights. There are also saunas, steam rooms and a salon. The hotel has several well-equipped conference rooms, which can be booked for holding business meetings and events.